Argonaut Community Enterprises are extremely pleased to announce the success of seven staff last week, who all passed their Site Safety Plus with flying colours! We would like to thank Wates Group for their continued support, and GMCT Ltd for delivering the tailored training. 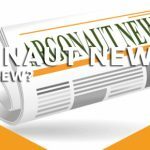 Argonaut Community Enterprises was pleased to celebrate its eighth year of operations in September and it has been an exceptionally busy one too. Through the tireless promotional efforts of the operations staff, new contracts with a major housing association and a construction company meant a welcome addition of a new member of staff and increases in the working week for current staff. Argonaut Community Enterprises has been rebuilding the domestic arm of its cleaning operations as a strategic measure to up-skill staff to feed into standard setting before working under exacting standards in the construction field. This paid off with one member of staff achieving a Health and Safety award from a construction company he is engaged with. Congratulations. In May we were awarded a grant for Training from Wates Giving following discussions with their Social Enterprise Champion. This has enabled us to enlist a trainer who has created a bespoke BSL-friendly course for our staff. 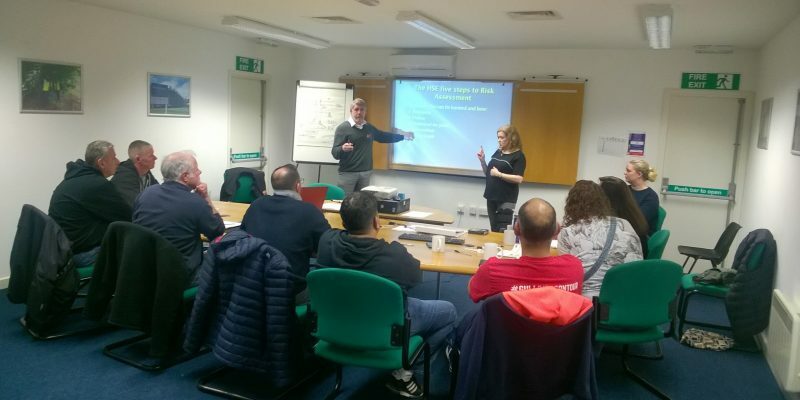 The training will be delivered in the new year, and will hopefully serve as a blueprint for delivery of further courses for Deaf staff and students. 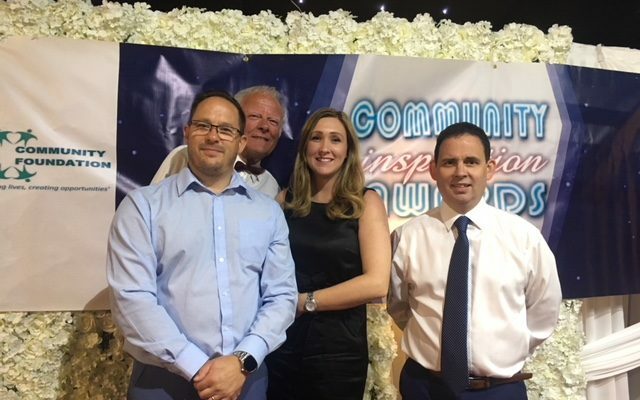 We were pleased to be shortlisted for the Business and Enterprise Award at the Community Inspiration Awards in July in Birmingham. We would like to thank Alphavance Creative for nominating us although we did not win the top award. This year saw its second year in solid profit, which as a social enterprise, is ploughed back into the company for replacement of capital items, staff training and work enhancements. Argonaut Community Enterprises continues to be busy with the garden maintenance aspect of the business with regular customers and one-off major garden makeovers. One was completed in November which involved a total clearance of rubbish, tree stump removals, landscaping, fencing work, turfing and two large patios. Well done to those involved in working in all weathers to complete before the winter! In December we made the exciting move to our new premises in Halesowen and thanks to everyone who worked hard to make this happen. On behalf of the Board of Directors, the Managing Director wishes to express their gratitude to the staff for the sterling work over the year in all spheres of operations. The Board reserves special thanks to the Operations Manager who achieved miracles in overseeing logistics of the growing cleaning and gardening contracts, quoting, client communications and keeping control on costs with our able finance officer. 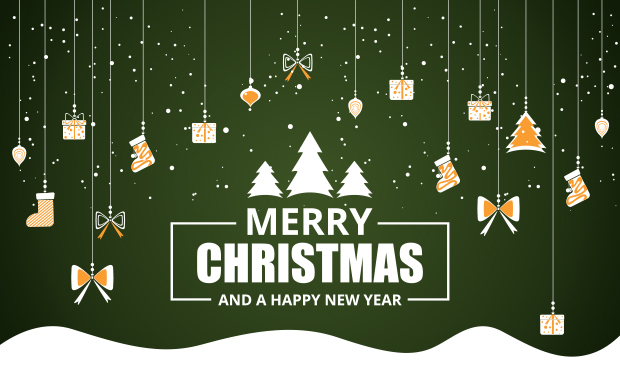 As the end of the year approaches, Argonaut Community Enterprises would like to wish you all a very Merry Christmas and a prosperous 2019. Due to the hard work and successes of 2018 we will be starting 2019 in a stronger financial position giving us more security. 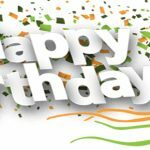 We are looking forward to another great year. 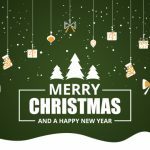 Over the festive period the office will close at noon on 24th December 2018 and will open on 2nd January 2019. Argonaut Community Enterprises are going from strength to strength and have recently secured our first contract with Tricas Construction, who are based in the Midlands and specialise in the residential and accommodation market (http://tricas.co.uk/). Tony Winstanley, Managing Director said “We’re thrilled to have the opportunity to work with Tricas Construction, and look forward to growing our partnership. 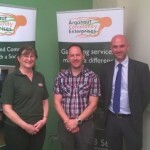 Argonaut Community Enterprises are excited to announce a great, new working relationship with Bromford Group. #Bromfordgroupsocialenterprise Bromford have supplied their customers with new and affordable housing for over 50 years and we are very much looking forward to working together on new build properties. Last weekend we changed the clocks which gave us all an extra hour – hopefully used as a well earned rest for our staff, who have been hard at work in October. It was certainly a busy month for our cleaners, with new and ongoing contracts with Wates Living Spaces in Wolverhampton, and with Wates Builders and Torsion Group in Coventry. We’re all looking forward to more successes over the final two months of 2017.